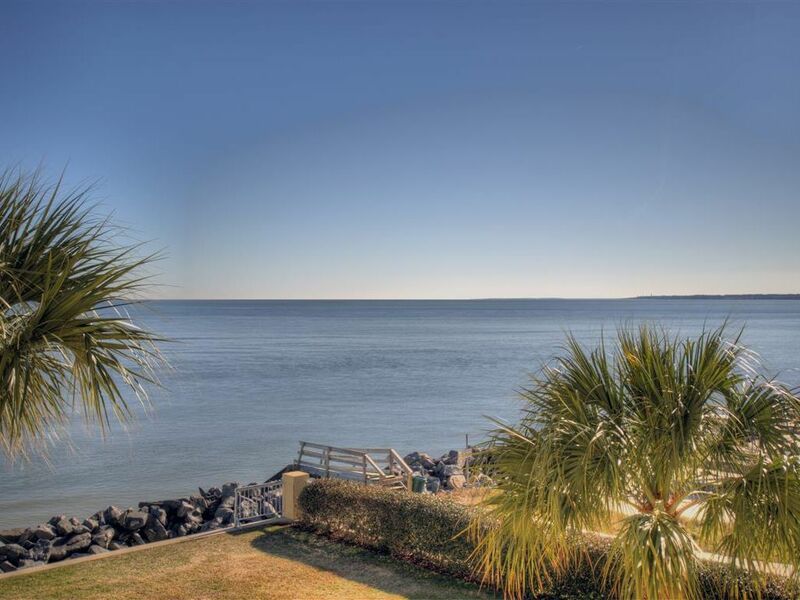 St. Simons Island is a quaint village on the Atlantic Ocean that boasts huge live oaks dripping with Spanish moss, marshland views and nature at its best. This historic place has excellent restaurants and wonderful shops as well as bicycle trails, golf courses and tennis courts. The beach itself is very wide, ideal for walking, biking, flying kites, playing games or just relaxing. The famous King and Prince Resort was voted "Georgia's Favorite Beach Resort" by the readers of Southern Living. You can affordably stay at this resort in this beautiful 2 bedroom, 2 bath ocean view condominium which is tastefully decorated with comfort in mind. The balcony features wonderful views and ocean breezes. The condominium complex offers a private pool, hot tub, gas grills and secure, gated parking. The unit has its own assigned covered parking space. Our guests can walk to the village and the pier on the beach or back roads. Some of the best restaurants on the island and bike rental are located just a couple of blocks from the unit. King & Prince Resort: Offering 2 and 3 bedroom oceanfront and ocean view condominiums at a world-class resort. You will have access to all of the King & Prince Resort amenities including pools and jacuzzi, outdoor gas grills, the Grill/Dining Room in the lobby of the King & Prince Hotel, fitness room, business center, etc No pets, No smoking, No student groups, No parties or wedding events. St. Simons is Georgia's coastal gem. Upscale yet not overwhelming. The residents and visitors are warm and friendly and the island offers great alternatives to just a beach experience. Great restaurants, golf, tennis, sea kayaking, private airport, and super shopping. The ancient live oaks lining many of the island's roadways offer historic charm and character and the village area gives you just enough small-town ambience to make you want to come back again and again. Fantastic ocean and pool view, panoramic floor-to-ceiling windows in the great room and master bedroom, wireless internet, hot tub, pools, onsite dining, lounge, and Starbucks coffee. Private parking lot with assigned covered space. Very comfortable single-story condo with no stairs to climb yet a floorplan that gives everyone perfect privacy. Rental process was easy, unit was clean and well stocked with a lovely view. There was a trick to the lock but my call was answered quickly. The front door's paint was chipped and the glass at the entry was cracked but oncy inside the unit was lovely.